Written by The Diamond Advisor on May 15, 2017 . When someone overpays for a diamond, a good majority of the time it’s because they didn’t understand the notion of ‘eye clean’. Instead, they went with the basic understanding of the 4Cs and used clarity grade as a standard. This common mistake causes them to pay for something that isn’t absolutely necessary. Yes, the marketing genius who came up with phrase “The 4C’s of Diamonds” probably just fell off his / her chair. But, focusing on “eye-clean” instead of “clarity” is one of the most important lessons a shopper can learn when searching for a diamond. 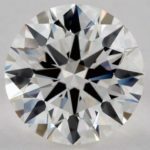 Shoppers must understand that clarity grades are a ranking system designed for diamond retailers and gemologists to categorize their stones into collections. They do this by using a magnifying loupe which allows them to see infinitely small inclusions. Because normal people don’t walk around with magnifying loupes in their pockets, clarity grade is NOT something shoppers should use while picking stones. Shoppers should look at all stones (regardless of clarity grade) and simply categorize them into two buckets – “Clean” and “Not Clean”. All of the above are James Allen H color, Ideal cut stones with similar portions and carat weights. 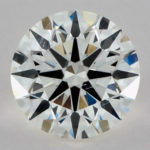 Notice the same clean appearance of the stones yet the large price difference based on clarity grade. When learning something new, it’s always helpful to put things in the context of everyday life. Consider the following example where we’ve translated gemologist speak to consumer speak. Now, imagine your girlfriend (fiancé-to-be) is coming over for a romantic dinner. When she arrives, she takes a quick glance around and throws you a smile because your place is clean. As you might imagine, she isn’t concerned with the exact DEGREE of clean as it’s literally impossible to gauge by look alone. The same applies to diamond shopping. 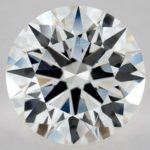 You want a diamond that looks clean with no visual inclusions. The exact degree of clean is irrelevant as you can’t tell the difference using just the naked eye. This is what’s known as “eye-clean”. Anything more is just paying for something you literally can’t see. 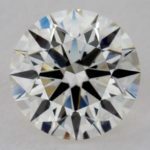 If you’re just starting your diamond search, remember that eye-clean diamonds be found at each clarity grade from SI2 and better. It can take some time to find an eye-clean SI1/SI2 stone that patience translate into money saved!